I found this quote and just love it. 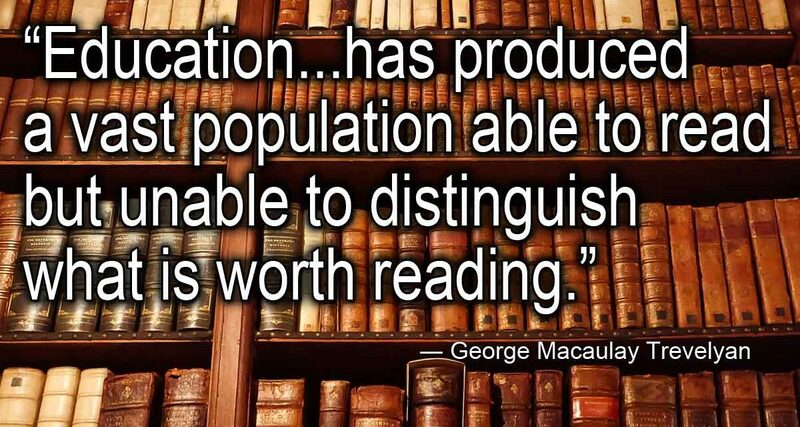 No, it is not because it makes me feel superior for having a great selection of reads. Rather, it is a to remind me to not waste my time with things that don’t enlighten, edify or entertain me. It also reminds me that when I do start one that is a waste of my time, it is okay to put it down and walk away. To me, the only thing worse than reading things like negativity or drivel is not reading at all. If you haven’t picked up a book (or audiobook as I prefer) in a while, give it a try. Visit your library and I guarantee you will find something that sparks your interest. A good source for ideas is a site like GoodReads. Be careful there though because other than losing a lot of time diving into the data, it can be overwhelming.